Last week we pointed out the recent collapse in TRADPAUS index. 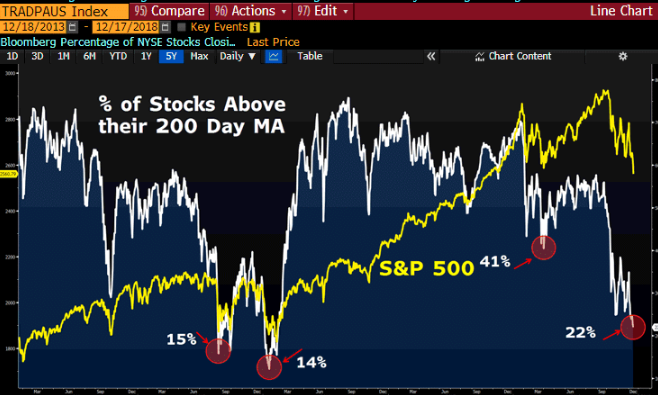 The index is showing us how only 22% of stocks on S&P trade above their 200-day average. 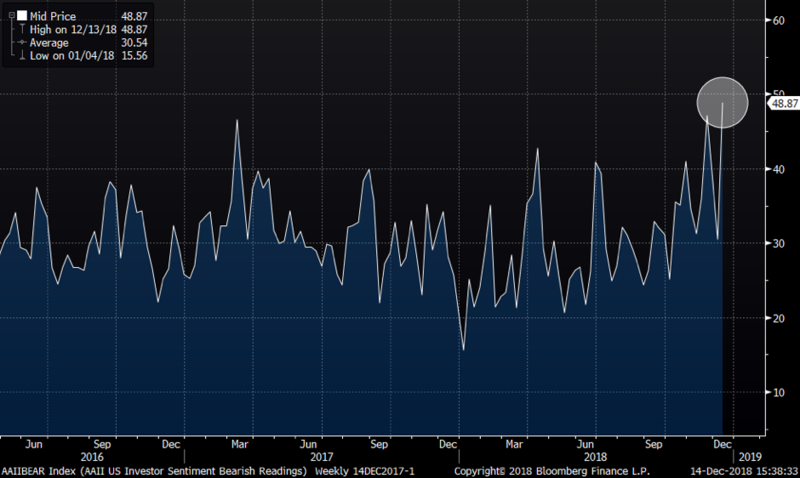 This is the lowest reading in a few years and the index is approaching recent lows we saw back in 2015 and 2016. Note the previous two lows in S&P in 2015 and 2016 that coincided with the TRADPAUS index making a low. Catching falling knives is not a pleasant strategy, but do not underestimate a possible shift in tone by the Fed. 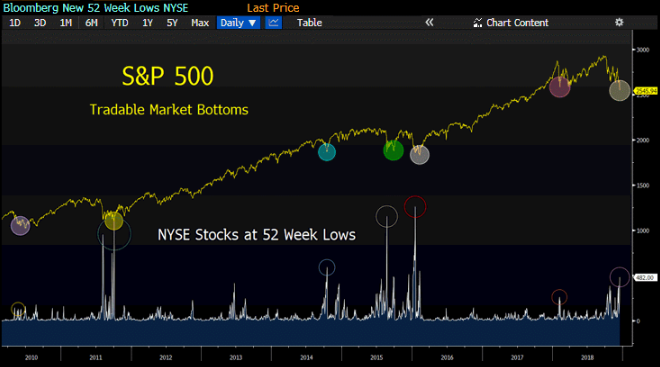 NYSE stocks at 52-week lows has spiked massively during this last sell off. We have seen this index spike even higher, but note this is a significant spike as can be seen in the chart below that dates back to 2010. Rather self-explanatory, S&P year end closing versus 52 week high. Sentiment is rather bearish and the latest out of AAII shows a clear bearish tilt among investors. What if the Fed pulls out a rabbit out of the hat and create a bounce that would most probably fool the crowd once again?